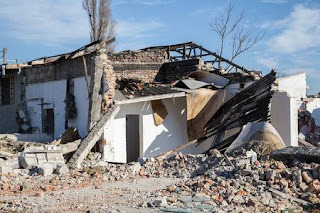 BIKITA-Leo Sanyati (30) has appeared before Bikita Resident Magistrate Caroline Tafira for malicious damage of property after he allegedly demolished his two roomed house which he shared with his wife, Sencia Chandinofira and took the material away to build a house for his girlfriend from the same area. It is the State case led by Chamunorwa Honye that Sanyati of Mazhambe Village under Chief Mukanganwi on an unknown date in 2018 allegedly told his wife, Chandinofira that he was planning to build a new house for his girlfriend. On August 28, 2018 Sanyati in the absence of his wife demolished their two roomed house and removed all the bricks and roofing materials and took them to the new stand. When Sanyati was asked by the Magistrate why he did that he denied the allegations that he was building a house for his girlfriend, but said he wanted to relocate to a new stand.